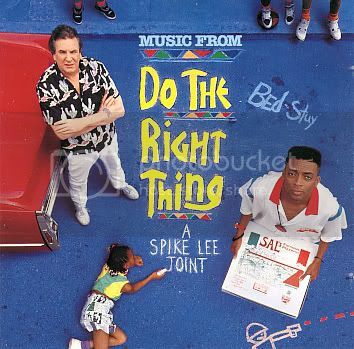 The soundtrack for director Spike Lee's Do the Right Thing is a veritable window into the hip-hop/contemporary R&B scene circa 1989. Peppered with "new jack" era slabs of wax from the likes of Public Enemy (the iconic "Fight the Power"), summer party staples from E.U. ("Party Hearty") and Teddy Riley ("My Fantasy"), and deep slow jams from Perri and Al Jarreau, it's the perfect background for a hot night in the city, and like the film itself, it's both frivolous and foreboding. [Motown reissued Do the Right Thing with two remixes of Guy's "My Fantasy. "].